Those desiring to attend college in New Hampshire, whether it is your home state or not, will be pleased with the array of resources the state offers to those looking for funding for undergraduate or graduate work. Below you will find the federally sponsored, state sponsored and privately funded loan options that are available to you as part of your complete financial package. The New Hampshire Higher Education Assistance Foundation (NHHEAF) is the premier agency for college financing in the Granite State, and will be of great interest to any student hunting for a large database of resources to reference. 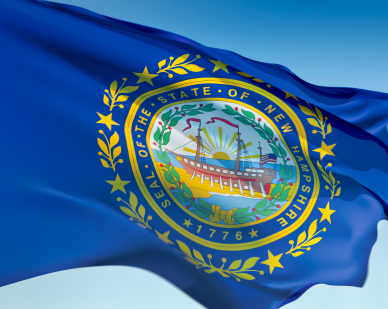 The NHHEAF is a huge network comprised of a number of state agencies that can help you search for funds, including the New Hampshire Higher Education Loan Corporation (NHHELCO) which is run through the umbrella of the NHHEAF, and Granite State Management and Resources (GSMR). This will be your one-stop-shop for all your college loan information and contacts for the state. The fun and user-friendly website with its knowledgeable articles and financial tools is a great place to head when you are planning for college and unsure how you will be paying for it. The NHHEAF provides students with access to information on college savings plans, federal loans, alternative loans and consolidation loans. And if you find yourself needing information on the New Hampshire state university system, the NHHEAF has links to all the in-state college and university listings you need. Take advantage of the NHHEAF site as your first step in putting together a loan plan. Like all state funded educational agencies, the organization can make low-cost, affordable loans available to state students and sometimes even those who are from out of state and attending a New Hampshire college. The Federal Family Education Loan Program (FFELP) includes the Stafford Loans, Perkins Loans, and PLUS Loans, which you can find out more about through their website. State governments purposely free up tax-exempt education bonds that are then used by guaranty agencies like NHHEAF to offer to students wanting to save a buck. These dollars are not taxed by the federal government, which translates into huge savings that are passed along to the state borrowers. Low interest rates, possibly discounted loan fees and other rate cuts are useful incentives for those borrowers who make payments on-time and through automatic bank account deductions. If you are stable enough financially to fit into that category of borrower and this sounds like a good option for your situation, find out more about incorporating these tax-free bonds into your financial plan through the NHHEAF. In the frequent circumstance when federal loans are not enough to cover the costs of tuition and miscellaneous expenses, and no other financial aid is available, students must find auxiliary means by which to meet the outstanding balance of their college education. For many, an alternative or private supplemental loan is the only way to go to supplement their federal funds. You can search for private student loans through reputable lenders, such as Sallie Mae, one of the largest in the country. Compare rates and terms carefully and only borrow what you absolutely need to pay for education, so that you can pay it off with speed and ease upon graduation. New Hampshire also offers state-funded scholarships and grants, but not everyone qualifies for big-time scholarship dollars. Some awards depend on repayment, academic merit, essay quality, financial need or minority status, and are very competitive in their selection of recipients. You are probably aware that before you can receive any federal funds you must complete and file the FAFSA. But did you know that most private loan programs, scholarships, and grants also have a FAFSA pre-requisite? Make sure you get this critical form filled out early, correctly, and completely and you will have no trouble with this aspect of applying for student loans. While Stafford Loans require no credit check, parents and grads that borrow PLUS loans are subject to a credit check as are all who borrow private loans. Students over 18 with good credit may apply on their own. Under most circumstances “good credit” includes an assessment of debt-to-income ratio, so be prepared to display this figure. If you have bad credit or even no credit, as is the case with many young people, make sure you find a co-borrower, otherwise known as a co-signer, to provide the solid credit backing you need. This person must be comfortable entering into a financial agreement with you, and may be a trustworthy friend, parent, or mentor. You are not required to make any payments on most loans until six months after you graduate. This six-month grace period allows you time to get a job and a stable lifestyle before you start paying monthly bills for your education. Beware, though, that alternative or private loan programs may require monthly interest payments before or after graduation. Check with your lender to see the specifics of the terms of repayment for your loan. Depending on the payment plan you have negotiated, you may be able to take up to 25 years to repay. If you already know that when your loan repayments kick in six months after graduation you will risk defaulting on your payments, you should seriously consider consolidation loans as a way of saving your credit. If you happen to carry multiple federal loans you may qualify for the Federal Loan Consolidation program. While this only applies to federal student loans, it allows you to make one low monthly payment and extend your repayment term over a longer period of time. Essentially, the payments will be smaller, but you will still have to pay them off eventually, just stretched over many months or years. If you are a borrower already holding NHLeaf Loans, you might consider the Leaf Consolidation Loan should payments become unwieldy. If you apply with a co-borrower your interest rate could be cut considerably and the better both your credit records are, the better your overall interest rate. These loans may extend repayment periods up to 25 years for those who have borrowed maximum loan amounts, which should be plenty of time to pay off any amount of money you may have been loaned. Be wise and consolidate if you are in danger of a default. There are no good reasons to risk defaulting on your student loans when today’s consolidation packages are as convenient and commonplace as your regular student loan products. With the help of the NHHEAF, New Hampshire students can see their financial aid packages move smoothly along the college journey from just borrowed to repayment to consolidation loan to eventually paid off and debt-free with a college degree.